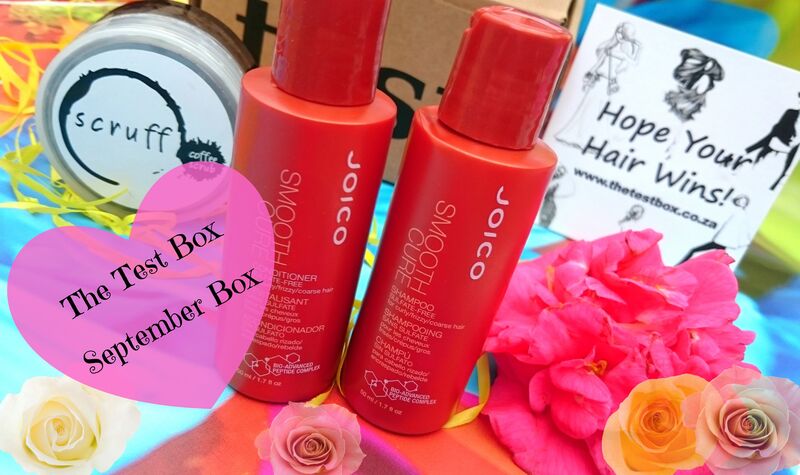 The Joico Smooth Cure range in this months box is for frizzy, curly or coarse hair. Both the shampoo and conditioner have a lovely sweet fruity smell. This product works wonder to smooth out hair and dramatically reduce frizz, the shampoo is sulfate free and gently cleans hair leaving it feeling soft and still moisturized, remember that sulfate free shampoo’s don’t foam up as much as others and just cause its not foaming wildly doesn’t mean it is not doing its job. The Conditioner is very creamy and you do not need a lot to cover hair. I sat for 10 min relaxing in the bath while I let the conditioner do its work. When you wash off the conditioner you can immediately feel how soft, moisturized and smooth your hair is! Its a wonderful feeling. The conditioner left my hair very manageable, it was not tangled at all after washing and was left smelling great. I normally kinda feel the need to go over my hair with the ghd after drying it to just get the little bit of frizz out, but the Joico Smooth Cure really did such a great job at smoothing my hair out that I didn’t even need to touch up with the ghd this time! I washed last night and slept with my hair loose and this morning my hair was still looking perfect, Amazing what a good hair care brand can do!! 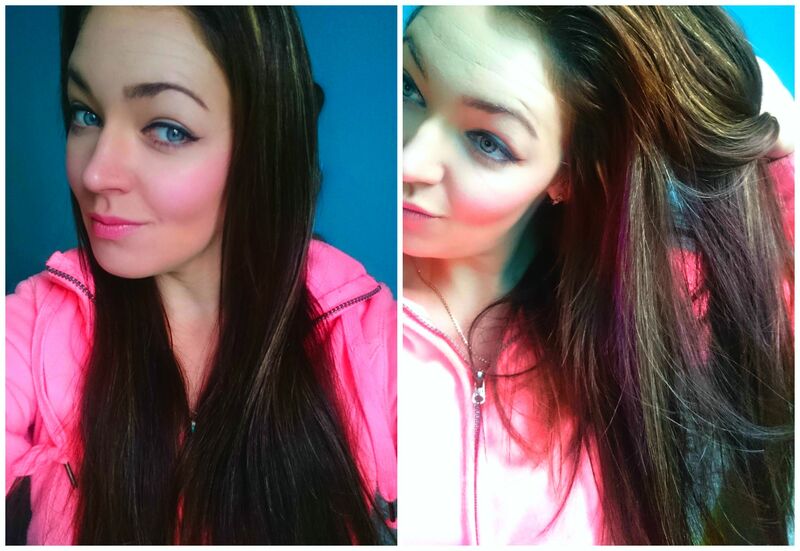 I have so much love for Joico products! 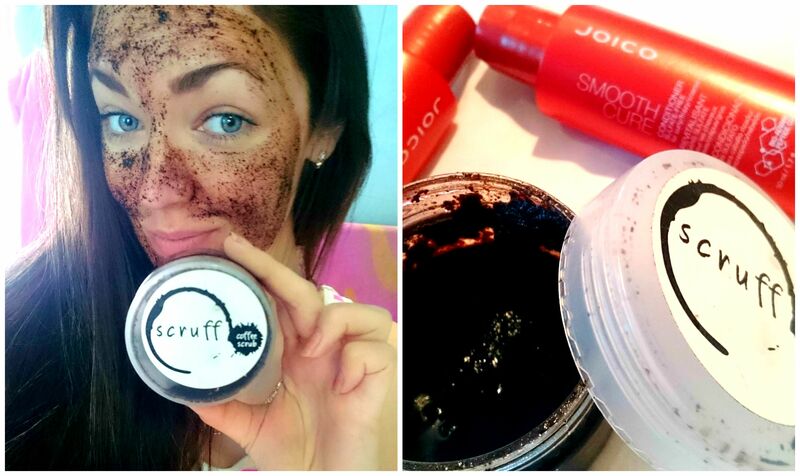 Sooooo :) The other wonderful product in this months box is the Scruff Coffee Scrub!! I have been eyeing this product for a while now on The Test Box site so I am very happy that they included a sample in this months box. I am such a sucker for scrubs, I adore that smooth, hydrated, just scrubbed skin feeling. The Scruff Coffee Scrub is a proudly Capetonian brand, the scrub is hand made and natural, Its hydrating for skin and has antioxidant powers!! Suitable for even sensitive skin and can be used on face and body. If you are a Coffee Lover then you will most certainly and completely fall in love with this super product! It smells just like my morning strong filter coffee!! It has fast become my go to facial scrub and its great to rub on and sit and relax for 10 minutes while you enjoy the lovely coffee smell, makes for a super relaxing Sunday morning face treatment while you have your morning coffee! 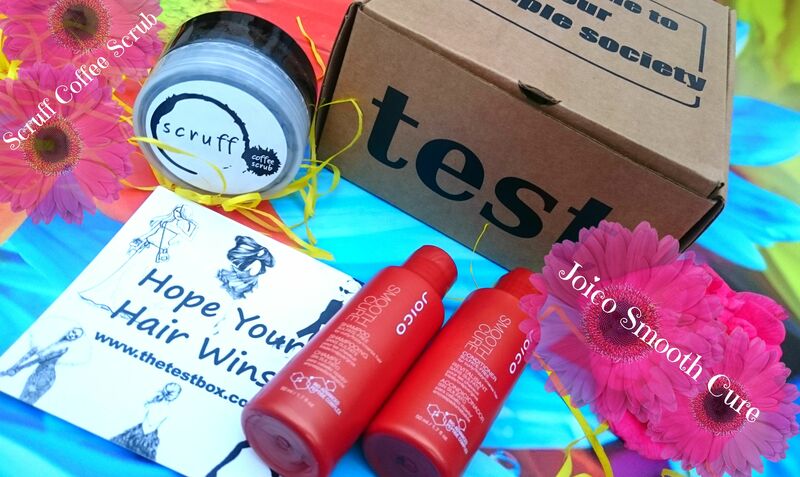 Go show the Scruff Facebook page some love And go buy your self some on The Test Box Site for only R145 for a 180g tub. I feel like I need to stock up with loads of this lovely scrub!!!!!! Thanx to The Test Box for a Fabulous box as usual! cant wait to see the October box :) If you are not already subscribed to The Test Box then I suggest you head over to their site and do so! Its such a bargain and keeps my hair healthy and looking great. I would be lost without my monthly box.